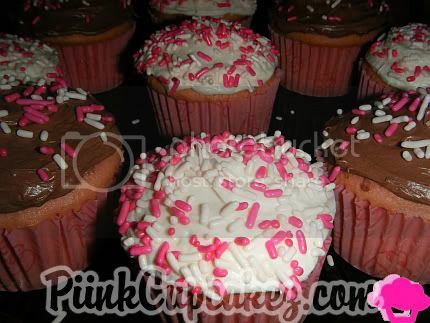 pink french vanilla cupcakes with vanilla and milk chocolate frosting..
Mmmm. 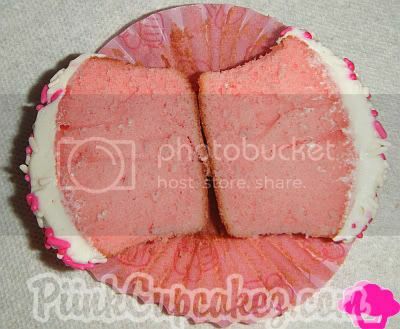 This weekend (or next) I'm going to....use one box of strawberry cake mix, 2 egg whites, a can of diet sprite, blend, and bake. Can I have one?! I have such a sugar tooth! 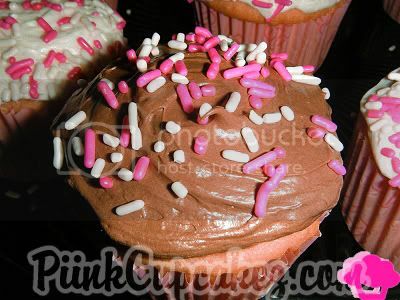 Ohhh, those cupcakes look so good :) Yum yums! Ummm im freaking hungry now!!! Damn it this looks soooooooo goooooooooooooddddddddddd!